This isn't your ordinary chocolate. 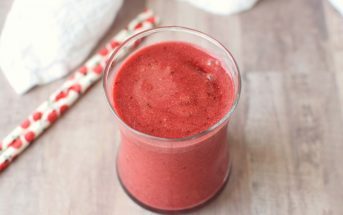 Each unique bite is packed with good bacteria (probiotics) and their helpers (prebiotics), and the taste is like a good semi-sweet chocolate, but with mellow flavor nuances. Since the bars came out, they've released probiotic chocolate hearts - same great low-sugar taste, but with mega-probiotics packed in each tummy loving treat. 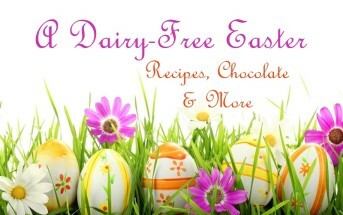 Did you know that chocolate is actually a better delivery system of probiotics than dairy? A study reported in the International Journal of Food Microbiology found that certain types of good bacteria survived up to 4 times better in chocolate than in milk! So yes, I did indeed down a couple probiotic chocolate bars in the name of health and good taste. Sunbiotics is one of my new favorite brands. Their organic sprouted probiotic almonds (in Original, Truffle, Cheesy and Chocolate!) are absolutely incredible. Their new probiotic chocolate bars are far beyond ordinary as well. The stone-ground chocolate is raw, vegan, dairy-free, low-glycemic and stocked with prebiotics to help make the tummy-taming properties of probiotics even more effective. I absolutely loved the unique yet scrumptious and surprisingly smooth (just a slight powdery note) finish of these semi-sweet dark probiotic chocolate bars. Each bite offered a diverse range of pure flavor nuances that were new to my palate, but quite enjoyable. 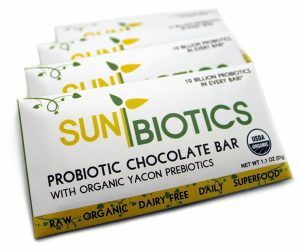 Sunbiotics Probiotic Chocolate Bars are made with raw cacao nibs, coconut sugar, raw yacon root powder, raw cacao butter, raw vanilla bean, and a live probiotic blend. 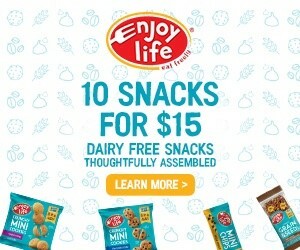 According to the manufacturer, they are produced in a raw, vegan, soy-free, grain-free, and certified organic facility. Each of the probiotic chocolate bars contains 10 billion probiotics at the time of manufacturing. Update: And just when I thought Sunbiotics couldn’t possibly improve upon this product, they added Chocolate Hearts! The “adult” version has 10 billion live and active cultures in each tasty heart, while the “children’s” version has 3 billion. 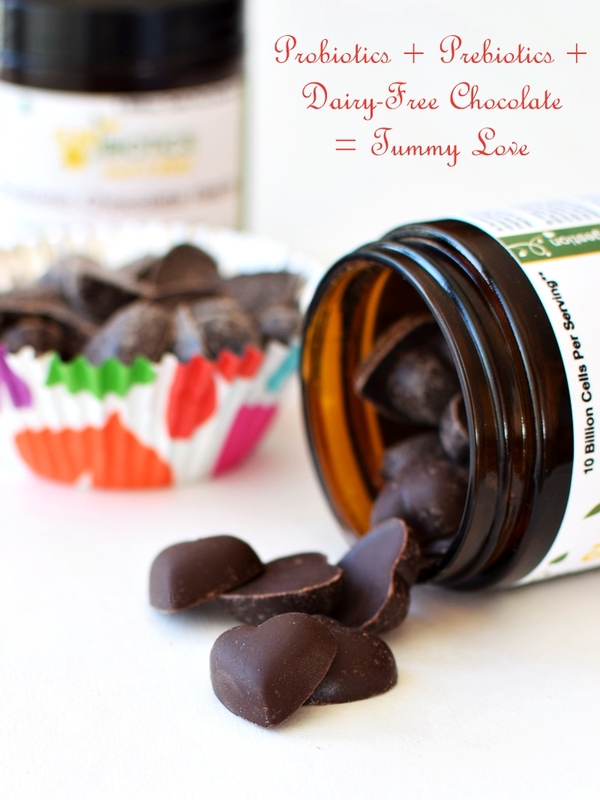 They’re both made with the same wholesome chocolate as the Sunbiotics Probiotic Chocolate Bars! 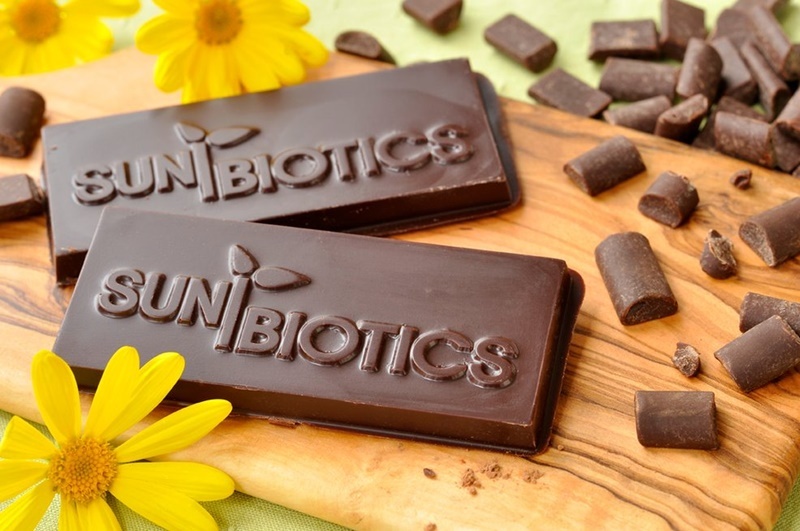 Certifications: Sunbiotics Probiotic Chocolate Bars are Certified Organic. 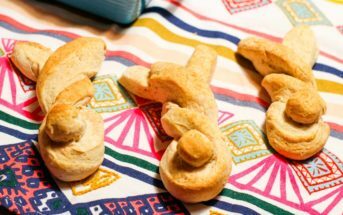 They are labeled as gluten-free, but did not show a certification at our time of review. Dietary Notes: By ingredients, Sunbiotics Probiotic Chocolate Bars are dairy-free / non-dairy, egg-free, gluten-free, nut-free, peanut-free, soy-free, vegan, and vegetarian. Nonetheless, check with the company on their manufacturing processes for all varieties if potential allergen cross-contamination is an issue for you. Processes and labeling are subject to change at any time for any company / product. For More Product Information: Visit the Sunbiotics website at www.sunbiotics.com or www.rawguru.com. They are also available on Amazon. 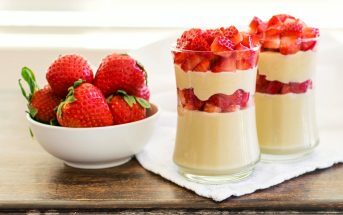 These sound wonderful. No guilt chocolate. Are they available in grocery stores, such as Whole Foods? Yes, but much easier to locate online! I’m in the northern California region – the slowest Whole Foods region to take on products. They sell on quite a few of the natural food retail sites. Almonds are tree nuts so they can’t be nut free as you post above in one of the paragraphs. Hi Dani, this review is of the chocolate – it doesn’t contain almonds. 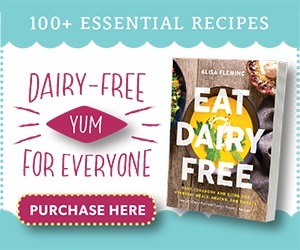 I think you’re looking at the mention of the almond review I did (that is a different product, that is just a link and mention, not the product reviewed here).